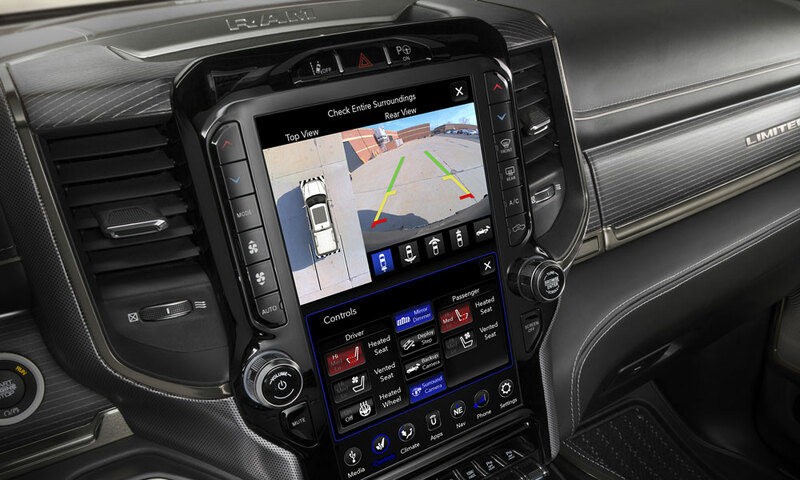 The backup camera in the all-new 2019 Ram 1500 displays what's behind the truck when the driver shifts into reverse. Backing up is a challenging driving task. Whether in a crowded parking lot or just your own driveway, backing up requires the driver to check multiple areas several times over just a few seconds. Watching for pedestrians and on-coming traffic behind the vehicle is important. Always remember to check the surrounding of your vehicle before climbing into the driver’s seat. Backup camera technology is standard equipment on all light vehicles (everything from small cars to heavy-duty trucks with a gross vehicle weight rating under 10,000 pounds) built since May 1, 2018. The milestone completes a phase-in period for backup cameras that began in 2014 under Federal Motor Vehicle Safety Standard 111 (FMVSS 111). A similar regulation is in effect for Canada. A backup camera views at least a 10-foot by 20-foot area directly behind the vehicle. That image automatically shows on a screen in the instrument panel or rear-view mirror when the driver shifts to reverse. That view is important. The National Highway Traffic Safety Administration says there more than 15,000 injuries and 210 fatalities each year from so-called “backover” accidents. The government agency estimates at least 58 lives may be saved each year with backup camera technology. Backup camera technology first appeared on FCA US vehicles before 2010. Depending on the vehicle, the backup camera image shows on a 5-, 7- and 8.4-inch display. Meeting the regulation presented a challenge to the team creating the all-new 2018 Jeep Wrangler, which did not want to lose the rear-mounted spare tire – an iconic design signature. 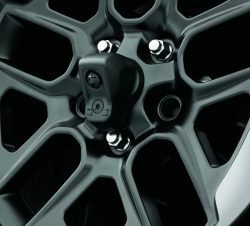 The solution: A robust, removable camera that locks on a support in the center hole of the spare wheel. The launch of the new Jeep Wrangler and the all-new 2019 Ram 1500 pickup marks the start of FCA US’ transition to high-definition screens that show the backup camera image. Also, the new Ram 1500 is available with a large, 12-inch HD screen in the instrument panel. What’s behind you is just as important as what’s ahead. Backup cameras help make sure you have the full view, but always use caution when reversing and check your entire surroundings.